Two more things: First, check out Joy’s Instagram post on her decision to wear the dress, as well as the abuse she’s receiving on that post. 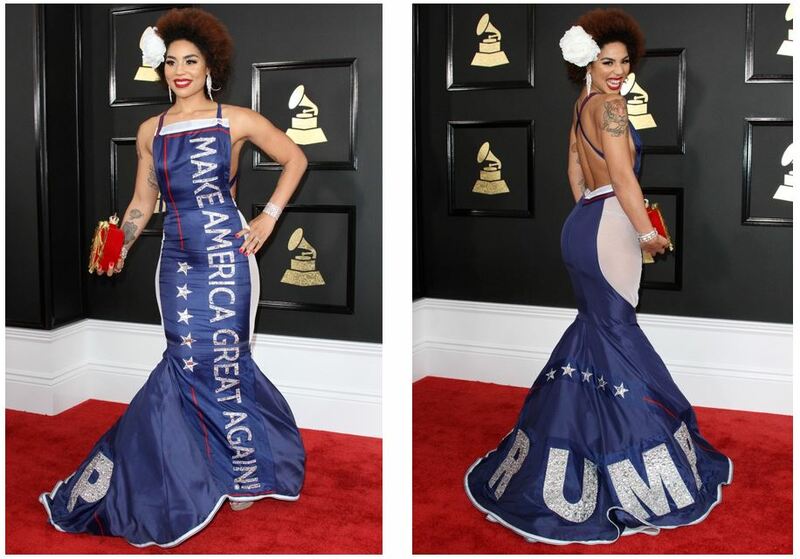 Second, you’ve got to appreciate that Andre Soriano, the dress’s designer, is a gay Filipino immigrant who is a Trump supporter. Also, Soriano also deserves kudos for the dress’s structural design. It’s stunning and flattering. These two brave (and apparently quite talented) iconoclasts deserve our admiration. Frankly, I also admire them for their smart marketing chops. On the Left, they’re just faces in the crowd, two minorities who can be dragged out occasionally to make political points. They have no market traction. By challenging Leftist dominance, they’ve put themselves at the top of a market sector made up of Americans just dying to support people who don’t denigrate them all the time. No wonder Joy suddenly shot to #1 on Amazon’s music top seller list.